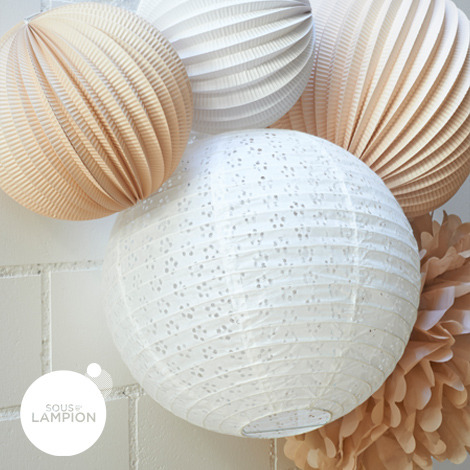 With this DIY kit, create and hang easily a beautiful cluster of paper lanterns. 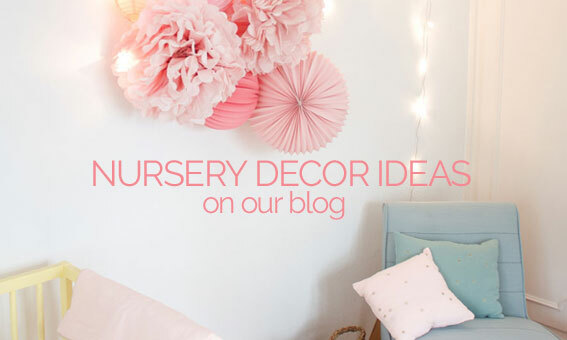 There are many possibilities of décor ! 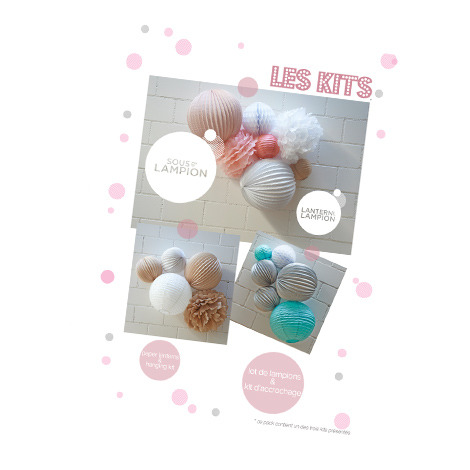 This kit includes: 2 accordion paper lanterns 20cm, 1 accordion paper lantern 30cm, 1 eyelet lantern 35cm, 1 paper tissue pompom, assembly instructions, picture hook & nail, and string to hang the lanterns. 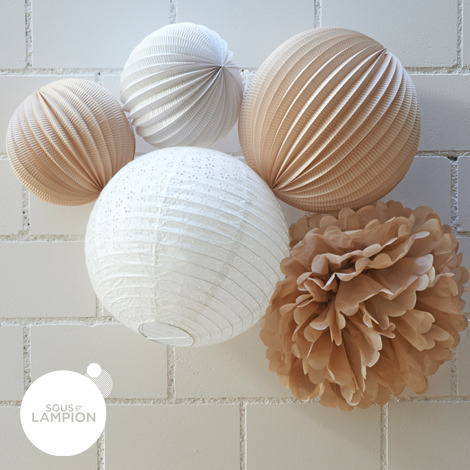 Color : SIMONE - chic hues of beige and white for a bedroom, living room, or any other room of your home.